Welcome to the Tamworth Breeders’ Club website! The club was set up to promote the Tamworth breed of pigs and encourage more people to keep registered pedigree stock, in order to preserve this charismatic pig and keep the bloodlines alive. Club membership is open to everyone, whether they keep Tamworth pigs or not. All you need to do is love the breed as much as we all do! 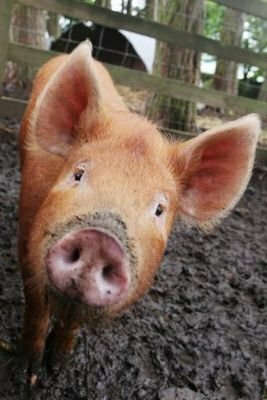 Like other traditional pig breeds, the Tamworth suffered greatly in the years following the Second World War, as farmers were urged to concentrate on faster-growing, more economical breeds. Tamworth pig numbers became seriously low, but, thanks to the hard work of dedicated breeders, the Tamworth was saved from extinction. Although the numbers of registered Tamworths being kept are now much more encouraging, we still need more breeders to carry on the good work into the future. The breed is classed as “vulnerable” by the Rare Breeds Survival Trust. The Trust’s latest Watchlist puts the Tamworth breed in the “Vulnerable” category with between 200 and 300 registered breeding sows. Please enjoy browsing our website, members stock for sale and wanted adverts can be seen in the forum section. If you are looking to buy Tamworth pigs then try the breeders’ directory to find a club member near you.